THE DATA PROTECTION Commissioner has been informed of an alleged data breach after Gsoc accidentally sent a complainant’s file including their full name and case file reference to an unauthorised third-party, TheJournal.ie has learned. A man had made a complaint about alleged racist abuse he received from gardaí while he lived in Galway. The complaint is still being processed. However, late last year, the man was sent correspondence which informed him that Gsoc had accidentally sent his file, including his case number and other personal details to an incorrect recipient. The senior case officers wrote to him and explained that “correspondence relating to your complaint was inadvertently sent to a third party”. Gsoc explained that the “correspondence contained your contact details (name and address) and the reference number above”. “The correspondence was returned to Gsoc and no other information in relation to you was released,” the garda watchdog continued. Gsoc admitted it had made an administrative error and apologised to the man for any distress it may have caused him. His case officer said that staff at Gsoc have been reminded of the “care required when issuing correspondence” and that the body is taking steps to ensure it doesn’t happen again. There are a number of current investigations ongoing within Gsoc with regards to the unauthorised sharing of sensitive information so far this year. TheJournal.ie has learned that Gsoc has reported a number of data breaches to the DPC since the start of last year. A spokeswoman confirmed: “Gsoc has reported four data breaches to the Data Protection Commissioner since January 2018. 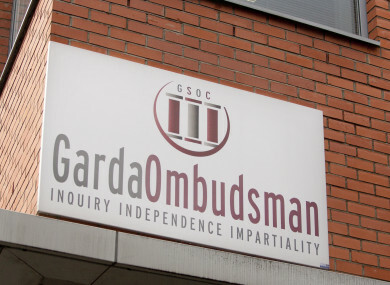 The Garda Siochana Ombudsman Commission (GSOC) came into force in May 2007 and took over responsibility for receiving and dealing with all complaints made by the public about the conduct of gardai. The report from the Commission on the Future of Policing in Ireland published late last year recommended that Gsoc should be superseded by a new independent complaints body, to be called the Independent Office of the Police Ombudsman (IOPO). In 2016, more than half of investigations by Gsoc did not disclose a criminal offence and were referred back to An Garda Síochána for investigation. Email “File sent to unauthorised third party in one of four alleged data breaches at Gsoc”. Feedback on “File sent to unauthorised third party in one of four alleged data breaches at Gsoc”.